NOTE: This content is old - Published: Thursday, Jul 7th, 2011. 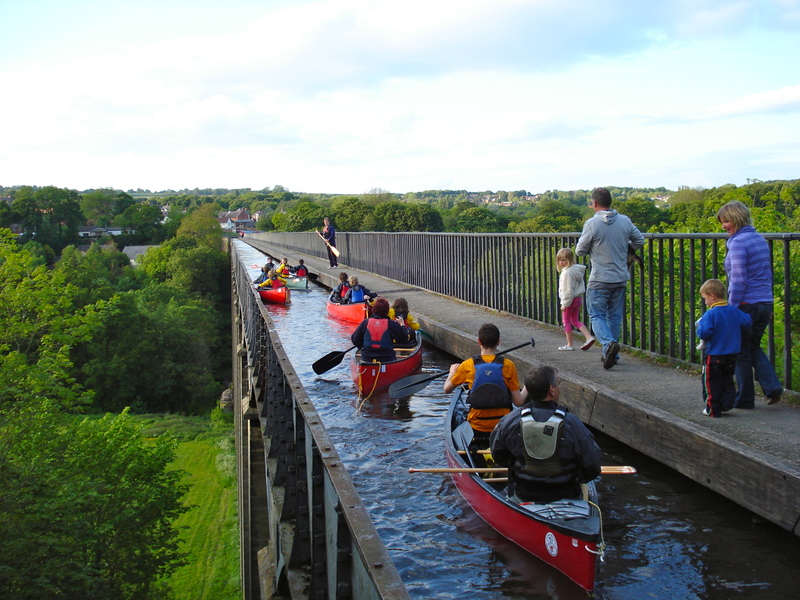 A new Scout Troop based in Trevor got off to an amazing start when the Scouts canoed across the world famous Pontcysyllte aqueduct. 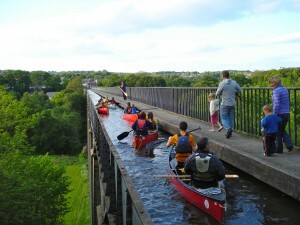 Half of the group had never canoed before, but experienced paddlers from the Scouts were on hand to give the boys and girls basic training on how to get in and out of the boats and how to paddle them, before paddling 126ft above the River Dee across the aqueduct.rnrnRecently recruited Scout Leader Vicky Bolton was able to have a go too.